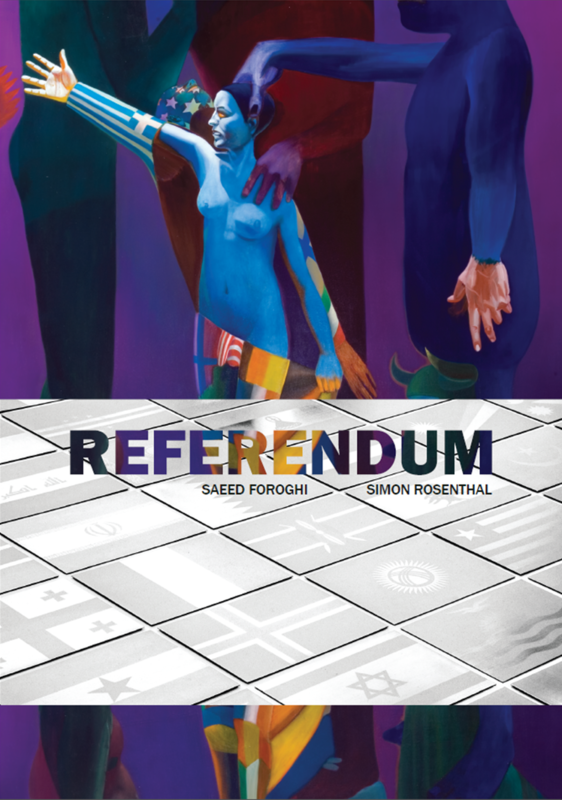 We cordially invite you to the opening of “Referendum”, an exhibition by the young, German-based artists Saeed Foroghi and Simon Rosenthal. Against the backdrop of transitions and insecurities determining the current constitution of the European Union, the artists show us their considering, not worriless view on European present and perspectives. Based on the exhibited works of the artists, we want to talk about the constitution and future of Europe. Visual art thus becomes the progressive motor of socio-political movements. Finally, we want to give the opportunity to exchange about goals projects in a relaxed atmosphere. We look forward to welcoming you! Rue Wiertz 60, 1047 Brussels, Belgium. * If you need accreditation to enter the European Parliament, please give your name, nationality, date of birth and type and number of an ID document. « Faites l’Europe » ! The Treaty of Lisbon as well as developing practices have modified the EU decision-making process substantially. As an EU public affairs practioner, these changes have direct repercussions on your day-to-day activities. The Future Media Lab, a think tank initiative in Brussels, is proud to announce our next crowdfunding workshop. This workshop will be run by crowdfunding experts and lawyers, and is tailor made for media people (magazines, newspapers, digital, TV, radio, film…). The Wilfried Martens Centre for European Studies cordially invites you to the conference ‘Religion in Public Life.’ The conference will focus on the role of religion in public life. Député européen, auteur du rapport Euroméditerranée qui traite notamment de la culture et des langues dans le pourtour méditerranéen. The second edition of The Value of Language will be about buying and selling language services: how do you source the best language services and find the most expert language professionals? And most of all: how do you ensure value for money? S&D Seminar: Diversity in Media and Culture versus Convergence?